There’s no denying that tea is a great addition to any diet. This is especially true of green tea. and the health benefits that it has to offer, including giving your metabolism a boost. helping to keep your teeth clean and giving you a generally soothing feeling. Drinking green tea is a great way to get a gentle boost that leaves you feeling calm and focused. Bigelow began in 1945, founded by Ruth Campbell Bigelow. With an interest in tea. she decided to try out a colonial recipe that included spices and orange peel. and it quickly became a big hit with her friends and family. From that small start came a company that is now a giant in the United States tea market. Today, you can find a number of different Bigelow tea blends. in just about any grocery store in America, signifying that it’s in rather large demand by a lot of happy consumers. What happens to Bigelow now? Being a family-owned company. the current owners strive to continue what Ruth had started all those years ago. They’ve expanded the flavors and blends of Bigelow tea so that just about anyone can find a flavor that they enjoy. The company now also sells other goods alongside their well-known tea. such as tea chests, apparel, engraved goods and more. Bigelow strives to offer high quality at a budget-friendly price. so that everyone can enjoy the flavor and benefits. that come from Bigelow tea without having to worry about the price. Their teas are also made with healthy, delicious ingredients. that offer the utmost in flavor as well as health benefits. In most cases, those ingredients are also GMO-free and all natural. With this, you can feel safe in knowing that what you’re drinking is pure and natural. Bigelow strives to take the steps required. to make sure every customer is able to enjoy and find benefit in their product. regardless of which flavor blend it is. 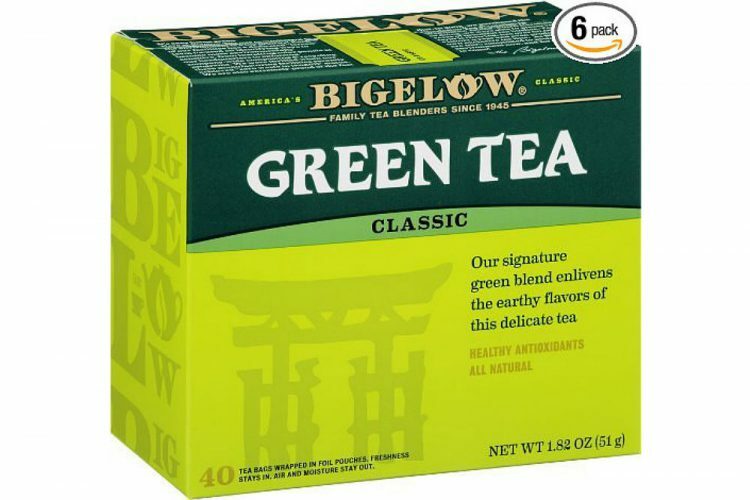 Green tea offers a multitude of health benefits, and Bigelow tea is no different. Not only is it a drink that doesn’t add any calories to your daily intake. it can also help to keep you healthier and even give your metabolism a bit of a boost. The green tea offered by Bigelow is grown in high-elevation gardens. and is hand-picked to offer the most in quality and flavor. It’s also known to be gluten-free and includes no carbohydrates. You really can’t beat the health benefits possible when it comes to green tea. The packaging of this product is designed not only to be very easy to open. but also create the highest level of freshness possible until the packets are opened. 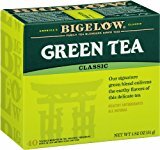 Bigelow green tea is filled with helpful antioxidants. that can assist in keeping your cells healthy. and functioning well. by absorbing free-radicals that can otherwise be harmful to your body. This is just the tip of the iceberg when it comes to green tea. which means it’s well worth trying if you haven’t had a chance to yet. Bigelow strives to keep the freshest, most quality flavor in their green tea. They also offer multiple varieties of green tea. including many that feature other flavors as well including lemon, pomegranate, and mint. This is really helpful for those who want the health benefits of green tea. but seek a little more flavor than plain tea on its own. You can also add things like honey or sugar, milk or cream in order to soften the flavor and make it more enjoyable. These things can add calories to your drink but can help you with livening up the flavor if you desire. For those who have limits on food on beverages that are kosher. you’ll be happy to know that Bigelow green tea fits all the necessities that a kosher beverage should. It also doesn’t include any GMOs. so you’ll be able to trust that what you’re drinking is healthy and nothing short of benefit to you. It’s also made from all natural ingredients. so you won’t have to be concerned about a lot of harmful chemicals. or other ingredients that may not offer the best attributes for your body and health. Hydration – One of the benefits of Bigelow green tea without added calories and sugar. Drinking Bigelow green tea. in addition to other fluids such as water, can help prevent harmful dehydration. Fluoride Content – We all know that fluoride is not an essential vitamin. or mineral but it increases the stability of the mineral to strengthen your teeth. Green tea contains 0.3 to 0.4 milligrams of fluoride per 8 ounces of tea. You can also boost your fluoride intake. by preparing green tea with fluoridated water to help you maintain strong teeth. put it in your mind that drinking green tea may help prevent dental cavities. Cardiovascular Disease Prevention – Antioxidants protect your cells from damage. at the subcellular level. preventing damage to your cells’ membranes, proteins, and your DNA. And this Bigelow Green Tea has this antioxidant. that help improves your cardiovascular health, protecting you from the disease. Possible Cancer Prevention – This is the best tea for cancer prevention. animal studies investigating the effects of green tea on carcinogenesis. found it had a protective effect against several types of cancer. Although studies in humans have yielded inconsistent or inconclusive results. further research into the chemicals in green tea may shed light on the tea’s role in cancer prevention. Bigelow is an excellent tea brandthat has grown to be highly popular over the years. Due to that, it now offers a massive selection of different flavors. and varieties for customers to enjoy. All of us know how important it is to put good things in our bodies to help us stay strong. That desire was the inspiration. for the Bigelow Benefits line everyday teas. that fuel your body with good for you ingredients. But of course, the flavor is everything to the Bigelow family. so we designed this line to taste fabulous and help support your well-being. We believe our Benefits teas as part of your everyday routine, can help you define the life you want to live. Green tea offers a lot of benefits to your health. and Bigelow makes those benefits affordable and easy to purchase. Some customers have felt that the flavor of this brand is weak. or doesn’t taste the freshest, so it’s worth trying out to see how you feel about the flavor. Everyone is going to have a different preference when it comes to tea, and Bigelow is well aware of that. That’s why they have so many different flavor options. so that each customer can choose their favorite.